Definition - What does Fire Triangle mean? The fire triangle is an easily understandable model that explains the ingredients required for combustion. It graphically illustrates the three criteria required for a fire, which are ignition, fuel and an oxidizing agent. Without one of these three ingredients, fire is impossible. 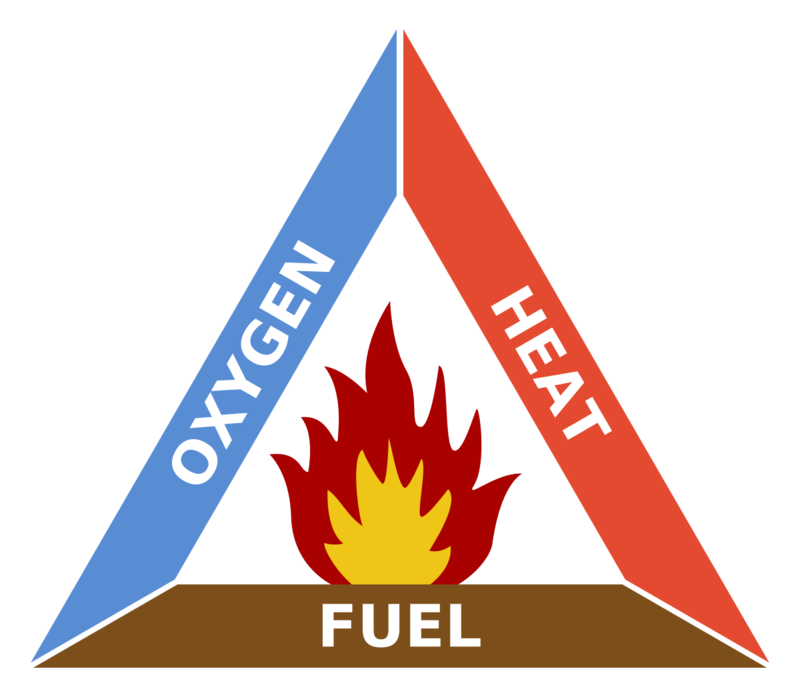 The fire triangle is also referred to as the combustion triangle. The fire triangle can be used either as a means of identifying potential fire hazards or as a tool for training employees in fire prevention practices. In industries where fires could pose a threat to safety, it is essential that the three ingredients required for combustion are not allowed to co-exist in close proximity to one another. Since many industries make use of flammable substances in industrial processes, and oxygen is present everywhere, unless specifically excluded, the focus is generally on the prevention of ignition.